Hazwaste Solutions, LLC is the primary waste disposal management company serving the cities and counties. We help businesses in the community in disposing excess materials, used or discarded items and even chemical or industrial waste that may be hazardous if not disposed of properly. 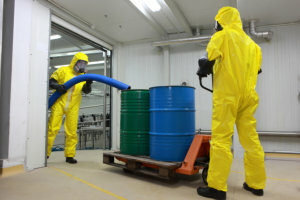 Hazwaste Solutions, LLC also offers OSHA Training and Environmental Compliance. For more information about our training opportunities, please get in touch with us.